In May 2013, GAP2 fishers and scientists travelled to St. Andrews, Canada, to participate in an exciting exchange of ideas and information with the Canadian Fisheries Research Network (CFRN) – a collaborative project bringing together fishers, scientists and the Canadian Government. You can read about the exchange here. March 2014 saw the ‘return exchange’, with representatives from the CFRN travelling to the Netherlands to continue the conversation about similarities and differences in international fisheries. 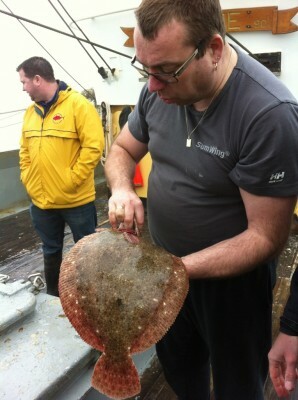 Kevin Squires, lobster fisherman and researcher for the CFRN, blogs about his experience of the exchange trip. The first thing that needs to be said about last week’s tour around the Netherlands, visiting fishing families, communities and research institutions, is “thanks” to everyone who made it possible. From the capable organization, the patient translating, the choice of accommodations and food, and the range of places we visited, I think we were all pleased, impressed and remain most appreciative. It goes without saying that we hope to meet our new friends again, on whichever side of the Atlantic works best. So what did we learn, and what will we remember? Speaking as just one of the participants, I can say that I began the week wondering why we were meeting with people who seemed to run bigger operations than ours, and who embraced quota-based management much more than we did. But by week’s end, I realized that family and community were very much a part of the Dutch fishery, as in ours, and that the management system is merely accepted and dealt with as part of current reality. Quota or not, we all deal with the same problems, and can only benefit from sharing our experiences of dealing with them. What stood out most during the week? Fishing in the North and Wadden Seas and the memorable at-sea discussions with Dutch fishermen and IMARES researchers were certainly highlights for everyone in the Canadian delegation. On Urk, discussions of the ‘olden’ days of fishing and the evolution of vessels brought together similar memories born an ocean apart. 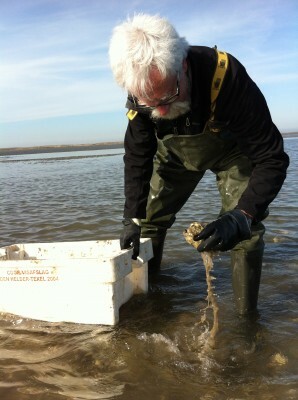 Gathering oysters with Barbara Geertsema, and learning about her support of the Slow Food movement and the local fishery, were inspiring to say the least. Brothers Johan and Albert Baaij welcomed us with open arms and embodied the strong fishing family values that are so familiar to us. Adrie Vonk’s whale “museum” was a personal highlight for me – not only because it was so surprisingly large, but the commitment that it would take to build such a collection, and the knowledge to go with it, were simply amazing. 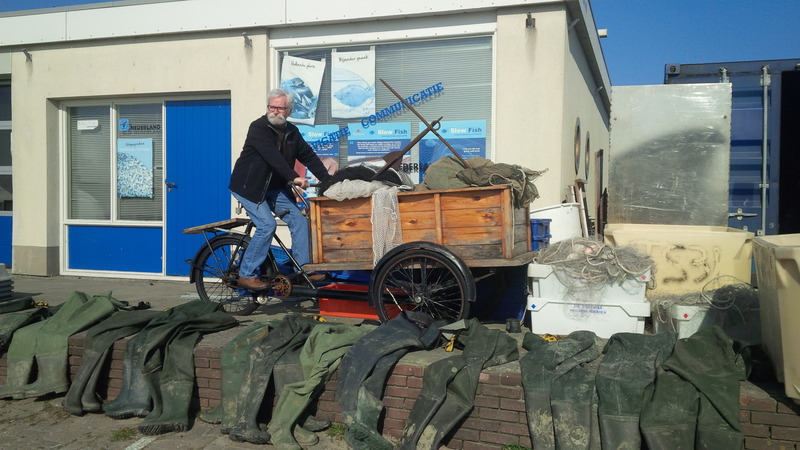 Durk van Tuinen’s information about the young Dutch fishermen’s organization, the courses they are delivering, and the discussions they support is something we fishermen (both older and younger) can take back and encourage in our own organizations. As well, Durk told us about industry funding for research, innovation and promotion, all important things for us to share with our peers. On the research side, it was very helpful to learn about the structure and function of IMARES, given the direction fisheries science and management are going in Canada. As well, the involvement of IMARES in practical problems, such as bycatch reduction, provide examples we may well be looking at as industry involvement in research evolves here. In the end, I think the best part of exchange visits is the energy one gets from finding that we all share common problems and common goals, and the energy one returns home with to continue trying to deal with them. The feeling of knowing we are not alone and, in fact, there are people all over the world who are in the same boat (so to speak), is comforting and encouraging. All things considered, the week was wonderful – just too short. Thanks again to everyone. This entry was posted in Exchange blog, GAP2 General, Gap2 Voices, Homepage News, News, Q2 2014 newsletter, The Canadian Blog and tagged CFRN, collaboration, exchange, GAP2, Netherlands. Bookmark the permalink.